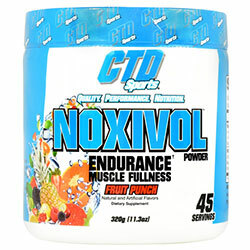 Product Details: Strength Enhancing Vasodilator. The Ingredients In Noxival Are Designed To Support: Muscle Fullness, Vascularity And Pumps; Lean Muscle Growth; Strength Increases; Healthy Joints And Ligaments; Increased Endurance By Reducing Lactic Acid. Warnings: Consult your health care provider before consuming this product. Do not use if you are pregnant or breastfeeding. Not intended for use by persons under the age of 18. keep out of reach of children.